Founded in 1866, Carleton College was the dream of Minnesota pioneers who understood that human knowledge is the real frontier. We’ve been exploring it here ever since. 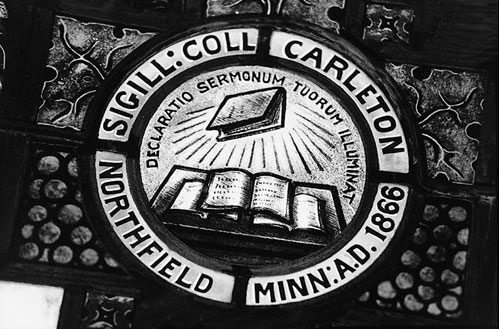 Carleton’s founder was Northfield businessman and Congregationalist Charles M. Goodsell, for whom the college’s observatory is named. It was he who encouraged the church to open a Minnesota college and he who donated part of its original 20 acres. The first instructor hired was Horace Goodhue, Jr., for whom a campus dormitory was later named. The earliest Carleton students, both men and women, arrived in the fall of 1867 to attend classes in the former American House hotel. That three-story building, located in what is now downtown Northfield, presented some serious challenges to its residents. According to Carleton archivist Eric Hillemann, sources from the time reported that the building’s plumbing was disgraceful, its heating meager, and its mice legion. The new school met with serious financial challenges until 1871, when Massachusetts brass wares manufacturer William Carleton agreed to donate $50,000 to the College that now bears his name. The following year, thanks to a $10,000 gift from Carleton’s one-time assistant and second wife, Susan Willis Carleton, the fledgling college moved into its first new building. Willis Hall still stands today on the western edge of campus, and now houses the political science and economics departments. 1866 The General Congregational Conference of Minnesota, meeting in Faribault in October, votes to prepare articles of incorporation for a college in Northfield. It is chartered formally in December, bringing to fruition years of efforts by Charles M. Goodsell and others. 1867 American House is purchased as the first home of “Northfield College.” (Renamed Carleton College in 1871.) The college sells it in 1887. 1869 The cornerstone is laid for the first permanent building (future Willis Hall). 1870 Rev. James W. Strong, a Beloit College graduate serving as pastor to the Congregational church in Faribault, accepts an invitation to become the College’s first president. 1870 The “collegiate department” opens in September with a class of four freshmen. 1870 President Strong travels to New England on a fundraising mission for the College. In December, following a visit with William Carleton of Charlestown, Mass., Strong is seriously injured in a railway accident. 1871 Reportedly impressed by the almost miraculous survival of Dr. Strong, William Carleton ensures the College’s survival with a $50,000 gift. An appreciative board of trustees renames the College in his honor. 1872 The College’s first building is completed. It is named Willis Hall the following year in honor of Susan Willis Carleton. 1874 James J. Dow and Myra A. Brown are the first two students awarded bachelor’s degrees. Six months later, on Christmas Day, they marry. 1876 Joseph Lee Heywood, College treasurer, is murdered in the Jesse James Gang’s raid on the First National Bank of Northfield. 1877 First edition of the Carletonian is issued by Philomathian Society. 1878 Inauguration of the Observatory’s telegraph time service, which eventually sets time for over 12,000 miles of railroad across the Northwest. 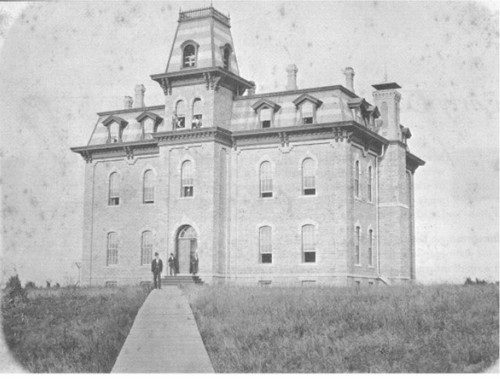 1879 The original Willis Hall destroyed by fire in December. It is rebuilt the following year. 1882 William Wallace Payne, director of the Carleton observatory, begins publication of the world’s only popular astronomical journal, The Sidereal Messenger. 1885 Harlan W. Page is appointed financial secretary, the College’s first salaried officer not also a member of the faculty. 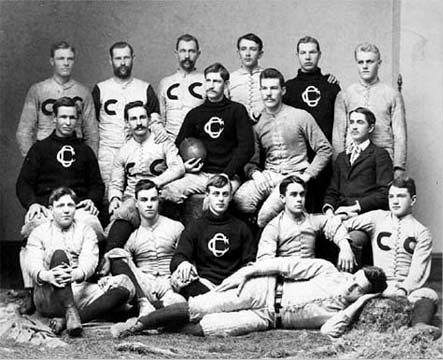 1887 Probable date of Carleton’s first formal intercollegiate athletic contest: a Carleton baseball team beats St. Olaf in May. 1889 Carleton’s first yearbook is published. It is named the Algol after a variable star in honor of Carleton’s contributions to astronomy. 1889 Maize is chosen as the school color. 1891 Tsune Watanabe, of Japan, graduates. She is Carleton’s first non-western student. 1893 Exercise classes required of all students. 1898 Freshman Ernest Lundeen, a future U.S. Senator, is one of 12 Carls to trade school books for Army garb when the Spanish-American War begins. 1903 Rev. William H. Sallmon, a graduate of Yale and pastor of the South Congregational Church of Bridgeport, Conn., takes office in January, following President Strong’s retirement after 32 years as president of the College. 1905/06 Distribution requirements and a system of majors and minors are introduced. 1909 In October Donald J. Cowling, a Yale graduate who had taught philosophy at Baker University, is inaugurated as Carleton’s third president. Only 29 years old, Cowling will define Carleton for the next 36 years. 1911 Blue added to maize as school colors. 1914 The College Farm is purchased and dairy operations are begun. 1916 Construction of Skinner Chapel is completed. 1916-17 Lyman Lakes are dug. The islands are constructed out of the excess dirt. 1917 As America goes to war, Carleton agrees to host for the duration a unit of the Student Army Training Corps, which permits students to finish college while receiving military training. 1918-19 As WW1 ends, an influenza epidemic claims 20 million lives, 500,000 in the United States. Among its victims is popular Carleton professor of Biblical literature Fred B. Hill. 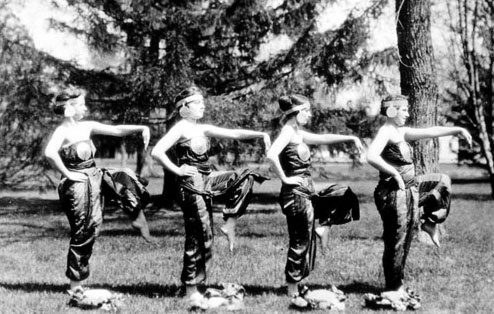 1919 Dancing is permitted on campus for the first time. 1919 College enrollment exceeds 500. 1922 Carleton-in-China program begins; most years until 1949 a junior “rep” is sent to the mission school in Fenchow to teach English for two years. 1922 Carleton becomes one of the first colleges to adopt an honors program. 1927 Minnie M. Dilley ’98 is first woman to serve on the board of trustees. 1927 Introduction of the proctor system — precursor to current resident assistants — to West Side (male) dormitory life. 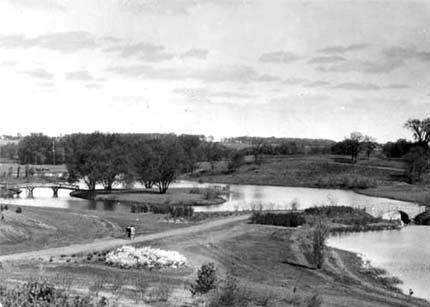 1927 Prof. Harvey Stork pushes for development of a Carleton arboretum. Planting directed by Stork and Superintendent of Grounds D. Blake Stewart begins in the spring. 1928-1934 Carleton basketball teams undefeated in conference play. 1930 Carleton Trustee Frank B. Kellogg awarded the 1929 Nobel Peace Prize. 1930 Creation of the Carleton Student Association (CSA). F. Atherton Bean ’31 is elected its first president. 1935 Carleton’s alumni magazine, the Voice first appears. 1936 Majority of Carleton students no longer from Minnesota. 1937 Carleton-in-China school flees south as Japanese armies invade Shanxi province. 1942 Japanese-Americans evacuated from West Coast. Carleton agrees to accept interned Nisei students continuing their wartime educations. 1942-1945 War brings major disruptions to campus life. As male enrollment plummets, women occupy virtually all important student positions. In 1943 and 1944 Carleton hosts several Army units, which receive instruction in engineering, aeronautics, meteorology, and modern languages. Altogether over 1,500 Carleton men and women serve in the armed forces during WWII; 55 men lose their lives. 1943 Male enrollment drops from 455 to 93. 1945 Popular Carleton Geology Prof. Laurence M. Gould, a University of Michigan alumnus and noted polar explorer, succeeds President Cowling, who retires after leading Carleton through two World Wars and a Depression. Gould had been a member of the faculty since 1932. 1946-1950 Influx of veterans pushes enrollment over 1,000. 1947-1955 Pine Hill Village, student housing for married veterans, located across Lyman Lakes. 1948 Comprehensive exams are introduced for seniors. 1949 Alvis Tinnin, Carleton’s first black student, graduates. 1949 The Carleton-in-China program ends as communist China is closed to such endeavors. In 1951 a Carleton-in-Japan program is initiated, first at a school in Osaka, later at Kyoto’s Doshisha University. 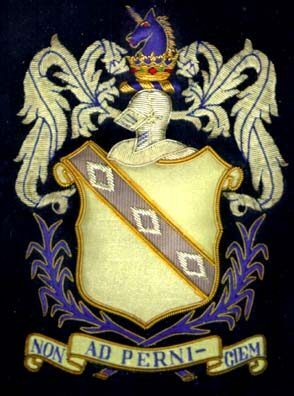 1950 “Knights” adopted as name for varsity sports teams. 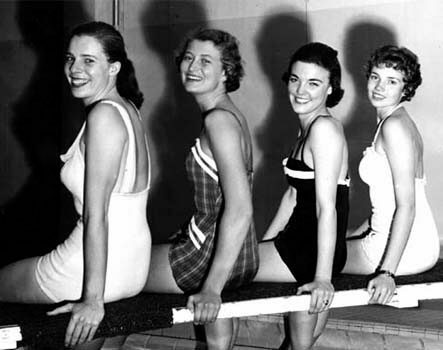 1958 Student enrollment permanently exceeds 1,000. 1962 Carleton’s fifth president, John W. Nason ’26, is selected after Laurence M. Gould announces his desire to return to classroom teaching in Arizona. Nason is the first Carleton alumnus to be named president. A former Carleton Rhodes Scholar, former president of Swarthmore College, and president of the Foreign Policy Association, Nason will see the College through the balance of the turbulent 60s. 1962 Johann Christoph Friedrich von Schiller makes a legendary appearance during the fourth quarter of a football game, dangling from a helicopter by a 50-foot chain. 1963 A group of students found the Reformed Druids of North America, initially as a protest against mandatory chapel. 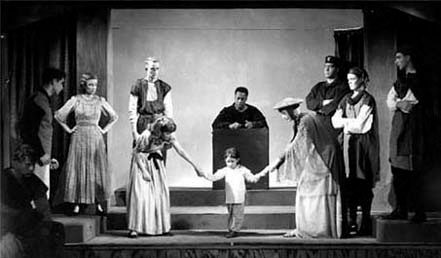 Carleton’s religious requirement is abolished in 1964. 1964 Carleton’s dairy herd is auctioned off. 1966 Carleton celebrates its centennial with a Science Symposium, the installation of Ray Jacobson’s Boliou Fountain sculpture, and many other events. 1967 Drinking on campus is permitted for students 21 and older. 1970 Howard R. Swearer, an expert on international affairs at the Ford Foundation and a former UCLA professor of political science, is named president. Swearer and his family are installed in the newly acquired Nutting House, henceforward the official home of Carleton chief executives. 1977 Robert H. Edwards becomes president after Swearer resigns to assume the presidency of Brown University. Like Swearer, Edwards is a graduate of Princeton and Harvard, coming to Carleton from the Ford Foundation. 1977 Joe Fabeetz, an imaginary candidate, wins CSA Senate election with 1,012 write-in votes. 1977 Carleton and St. Olaf square off in the first — and possibly last — NCAA sanctioned metric football game, in which all measurements are metric. Hoopla reigns, but on the field Carleton is crushed by the Oles before 10,000 in Laird Stadium. 1978 Trustees vote to limit investments to companies adhering to a written statement of principles on South Africa. Debate, and occasional confrontation, over the merits of selective vs. total South Africa-related divestment becomes a major campus issue through the ensuing decade and beyond. 1980 Strike by Carleton union workers. 1985 ACT (Acting in the Community Together) is established to coordinate student volunteer programs in Northfield and surrounding communities. 1987 Carleton’s ninth president is Stephen R. Lewis, Jr. A graduate of Williams College and Stanford University, he comes to Carleton from a professorship in economics at Williams as well as a position as economic consultant to the government of Botswana. 1987 Phones are installed in dorm rooms. 1988 The underground network of tunnels that connect Carleton buildings is closed. 1991 A record 18% of incoming first-year students are students of color. 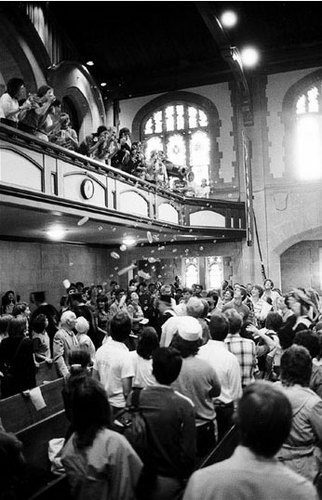 1991 Carleton celebrates its 125th anniversary year with events throughout the 1991–92 academic year. 1995 U.S. News and World Report ranks Carleton’s faculty #1 in commitment to undergraduate teaching. 2000 The Recreation Center opens. 2000 Carleton receives its first-ever presidential visit, as President Bill Clinton addresses graduating seniors at Commencement. 2001 The applicant pool for admission to Carleton exceeds 4,000 for the first time (4,061). 2001 The new Language and Dining Center opens. 2002 Robert Oden becomes Carleton’s tenth president, coming to Carleton from the presidency of Kenyon College. 2002 Former professor of political science Paul Wellstone dies in a plane crash. He had taught political science from 1969 to 1990, and went on to become a Minnesota senator. 2004 Carleton’s wind turbine is installed. It is the first college-owned turbine in the country. 2006 Classes are cancelled for an all-day campus discussion on how to respond to Hurricane Katrina. Carleton students participate in cleanup efforts in the Gulf region. 2009 Two new residence halls, Cassat Hall and Memorial Hall, open for the 2009–10 academic year (Memorial will later be renamed James Hall). 2010 Steven G. Poskanzer becomes Carleton’s 11th president. 2011 Carleton’s Weitz Center for Creativity opens, and the College’s second wind turbine is installed. 2013 The applicant pool for admission to Carleton exceeds 7,000 for the first time. 2016 Carleton celebrates its sesquicentennial.